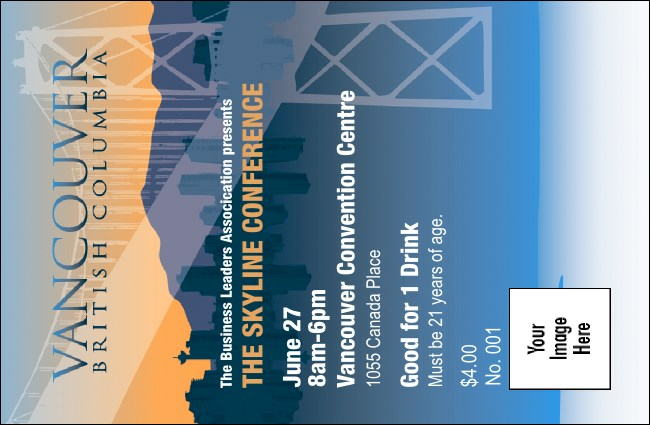 Selling refreshments stress-free with Vancouver Drink Tickets, then sit back to enjoy the view of the stunning city this ticket has to offer! Complete with the metropolitan cityscape and subtle urban scenery this Drink Ticket will make your guests thirst for more! Complete your event with a Vancouver Event Kit. TicketPrinting.com can quench all your event needs!